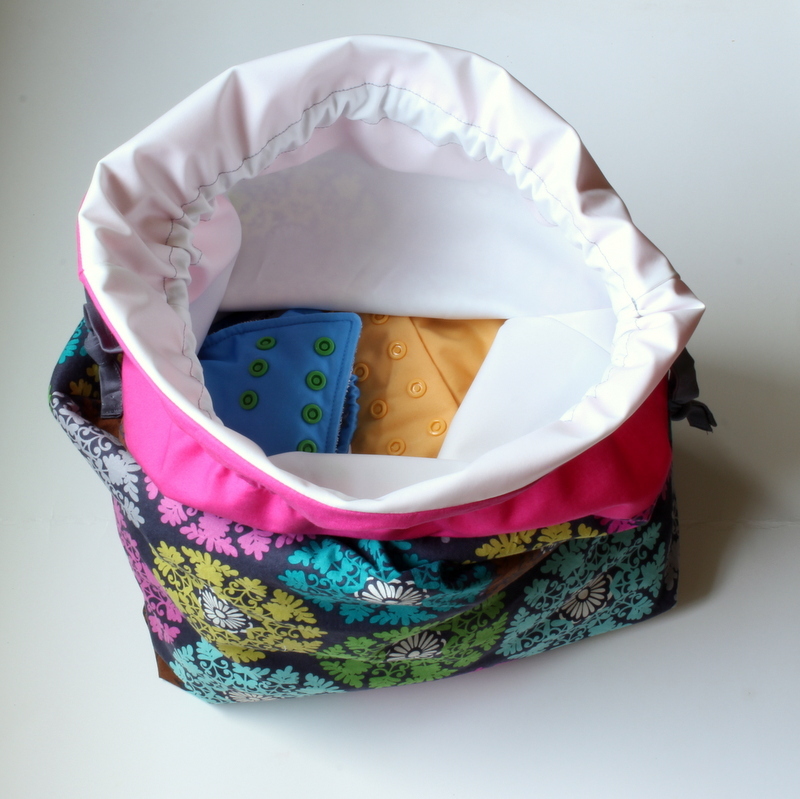 Remember a while back when I blogged about a wet bag I made for a baby shower? Well the same friend commissioned me to make a hanging wet bag for the bathroom. 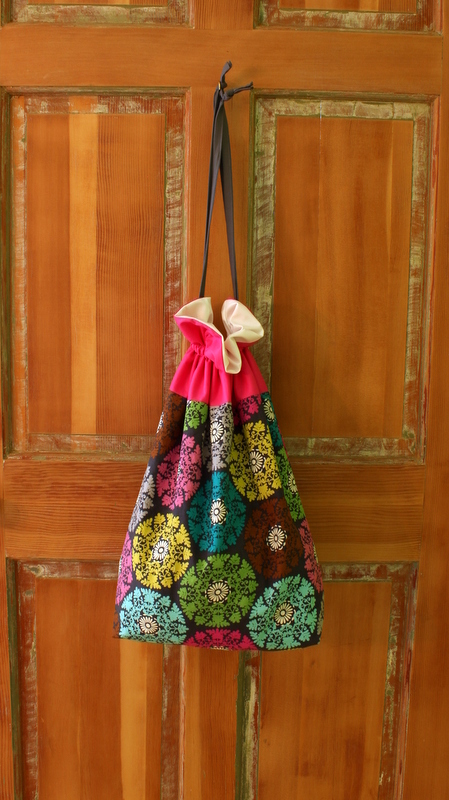 Because this bag will hang in the bathroom, she decided that a drawstring bag would be nice instead of a zippered bag. I bought Jeni’s pattern for drawstring bags in order to have easy instructions at hand and save myself the trouble of doing any math. It was fun to get to play around with girl fabrics for a change. The bag is lined with PUL to make it waterproof. 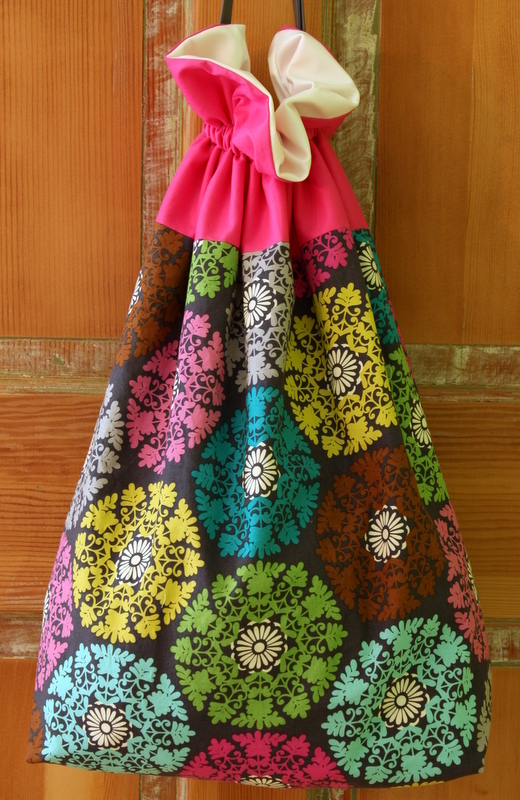 If you have never worked with PUL and want to make a bag like this, one tip I would offer is to try to keep the PUL fabric on the bottom (next to the feed dogs) while you are sewing because it is quite slippery and can be a bit of a pain otherwise. I made the laundry size bag Jeni offers in her pattern with the change of shortening the length from 26 inches to 20. 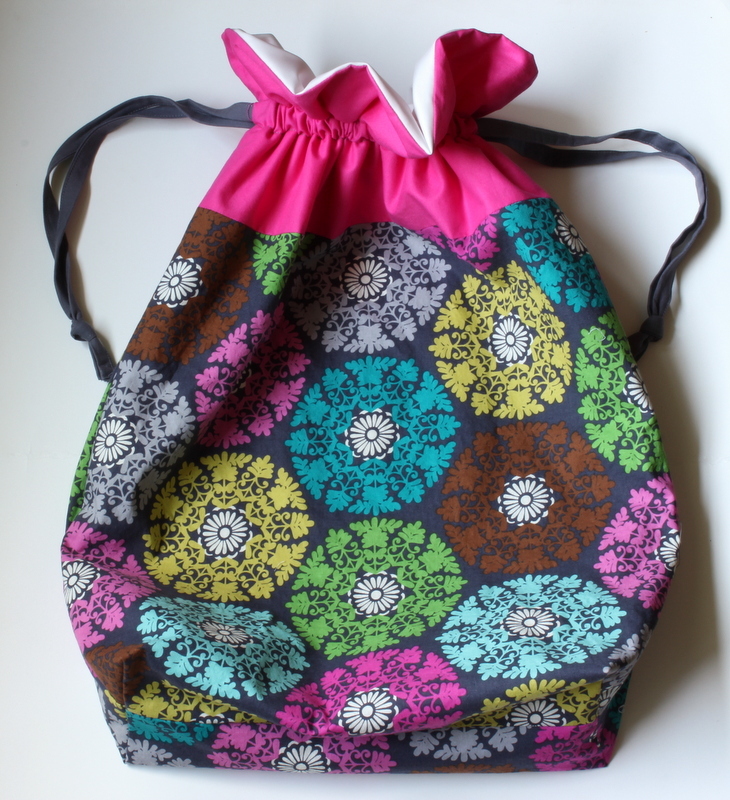 Jeni’s instructions are so great that this bag came together very quickly. 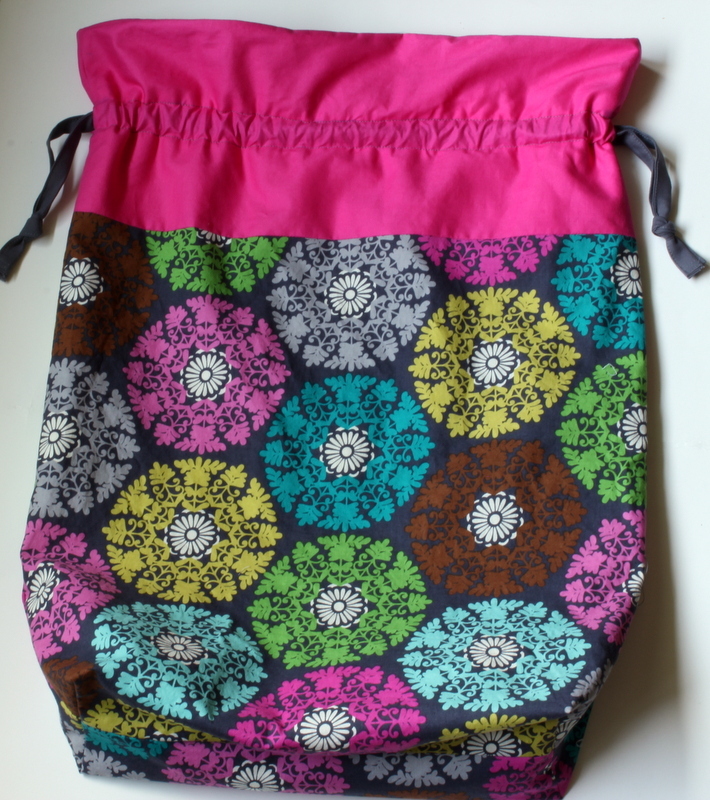 If you need to make some drawstring bags, I highly recommend buying Jeni’s pattern. It is very reasonably priced and includes x-small to x-large sizes. She also gives you license to sell with the pattern purchase. I can’t wait to find a reason to make another one. 🙂 Hmm, I still haven’t made a wet bag for my bathroom which is the reason I bought the PUL in the first place. LOL. For picture purposes, I put 7 of Oliver’s cloth diapers in the bag. I would say that this bag can comfortably hold between 15-20 cloth diapers. This entry was posted in For Sale, Kid sewing and tagged cloth diaper wet bag, cloth diapers, drawstring bag pattern, hanging wet bag, PUL, pul fabric by oliver's fancy. Bookmark the permalink.